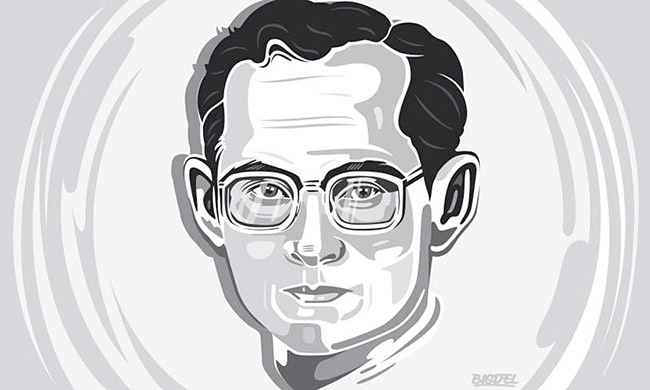 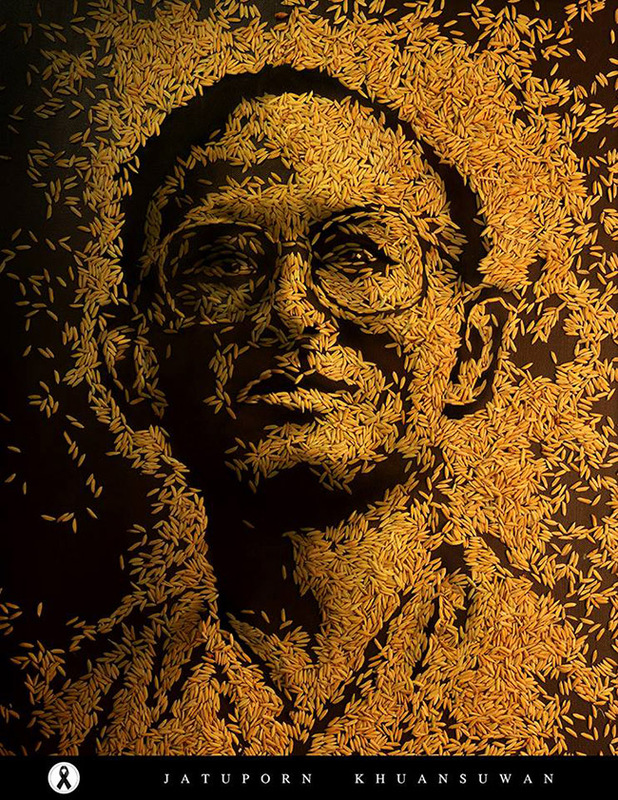 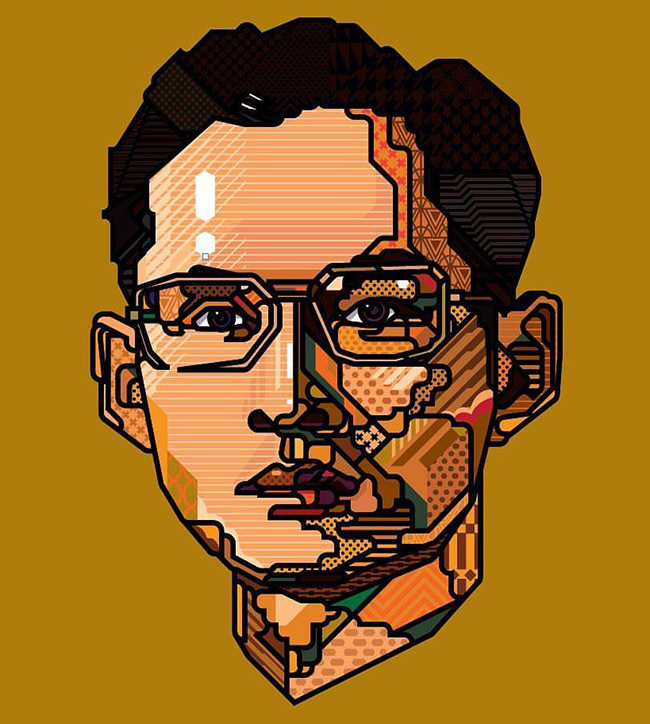 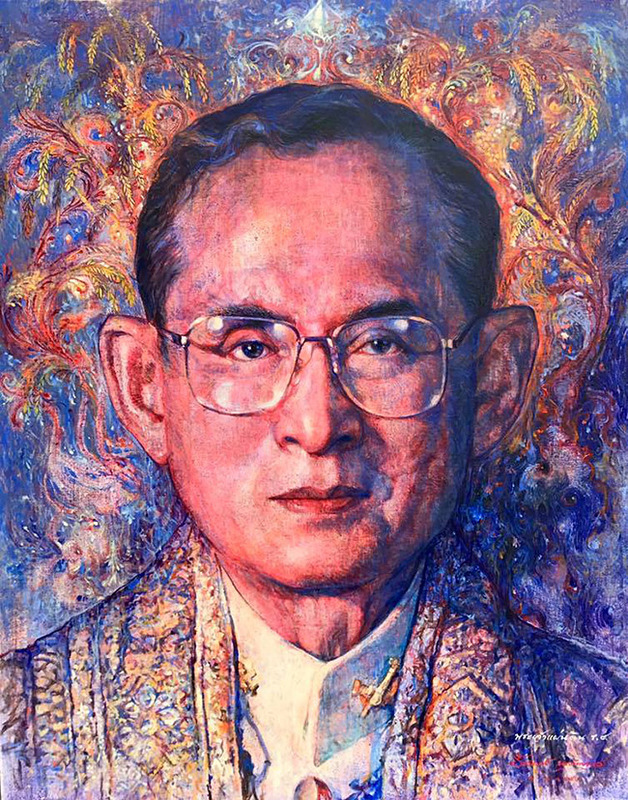 The King of Thailand passed 1 year ago & now the nation prepares to for an elaborate cremation ceremony to send Rama IX The Great beyond the mythical Mount Meru. 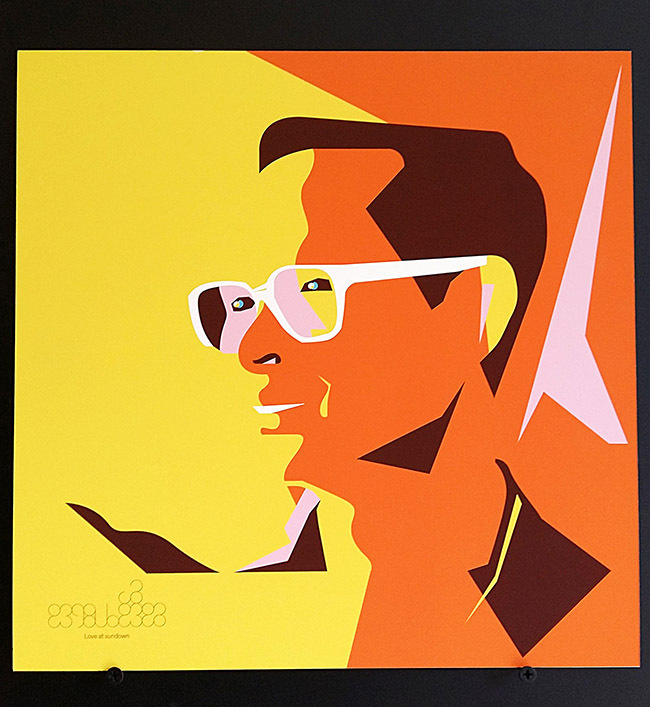 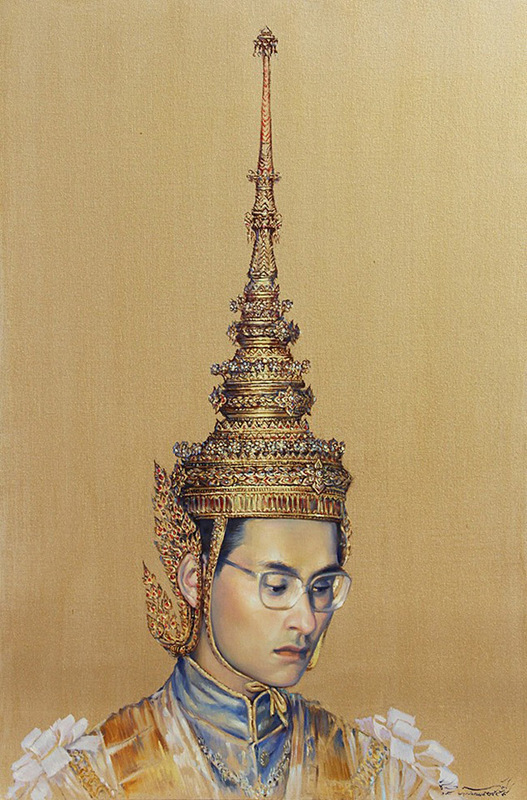 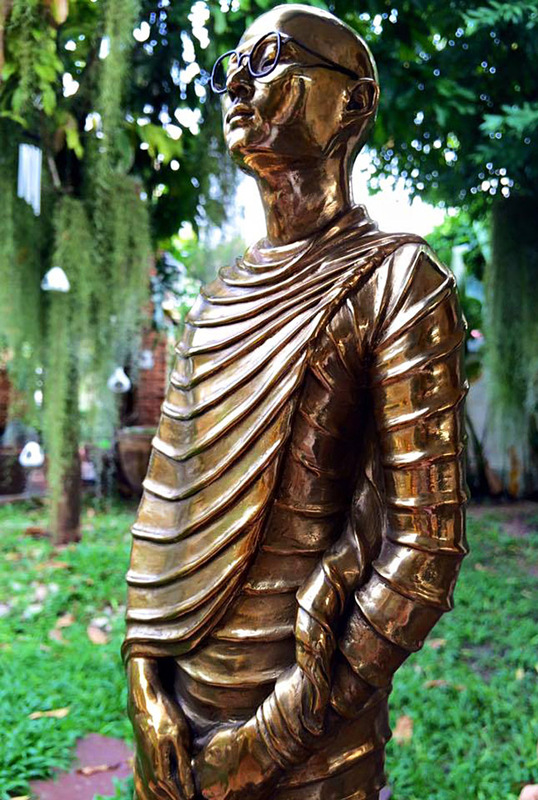 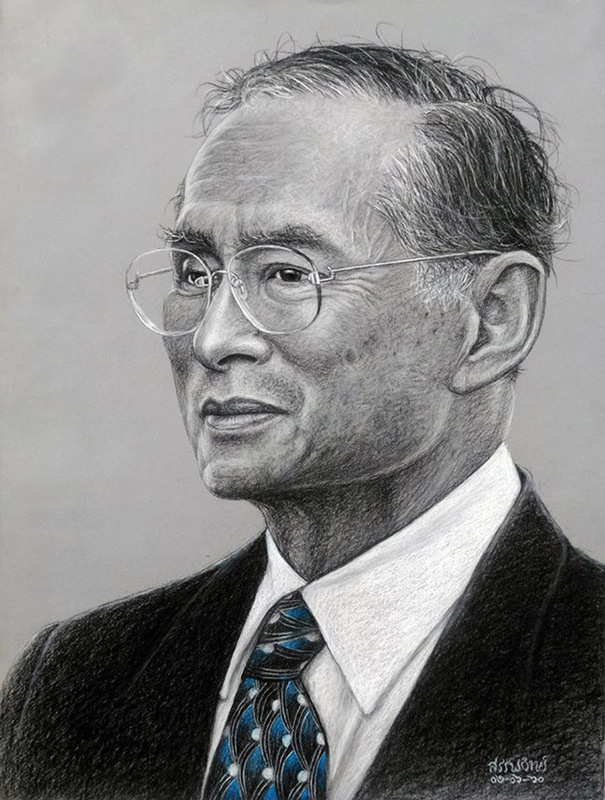 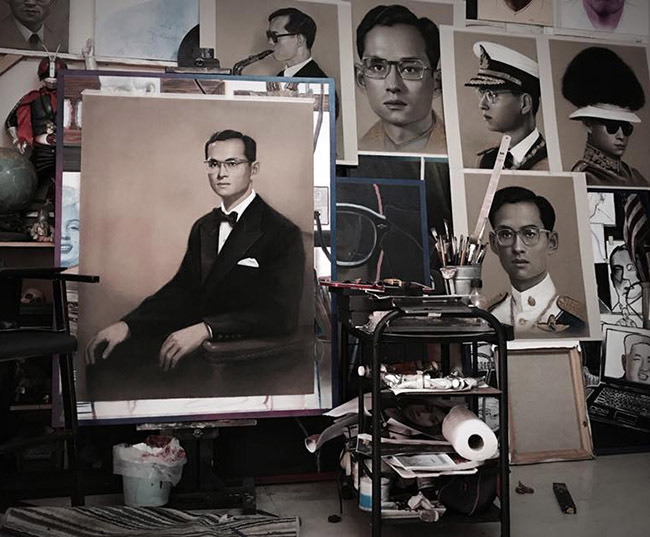 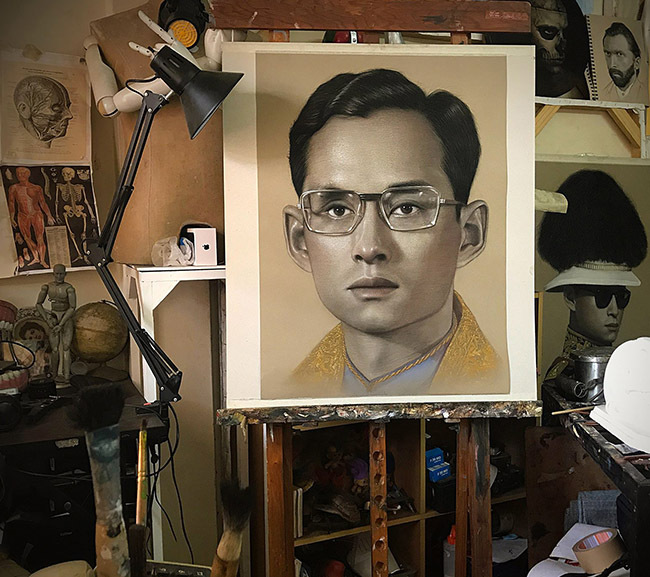 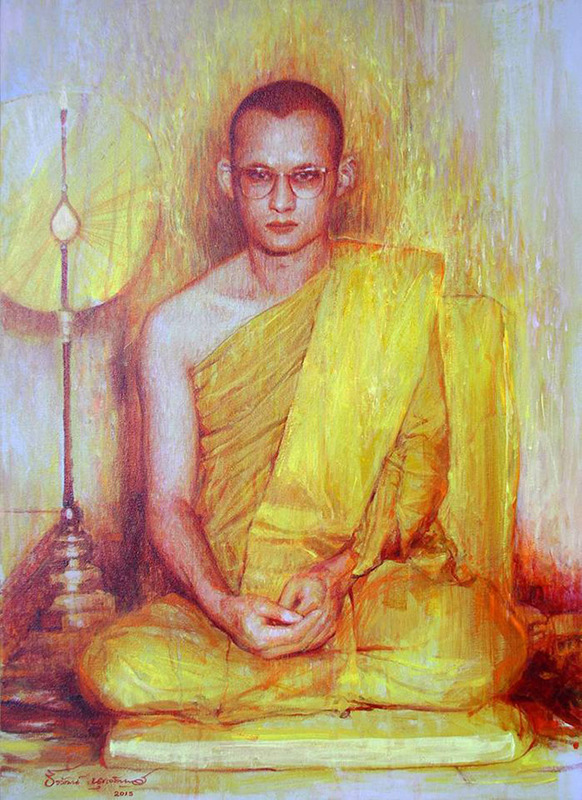 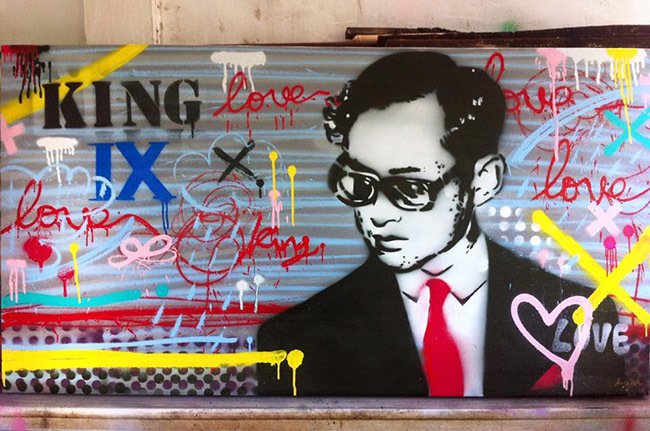 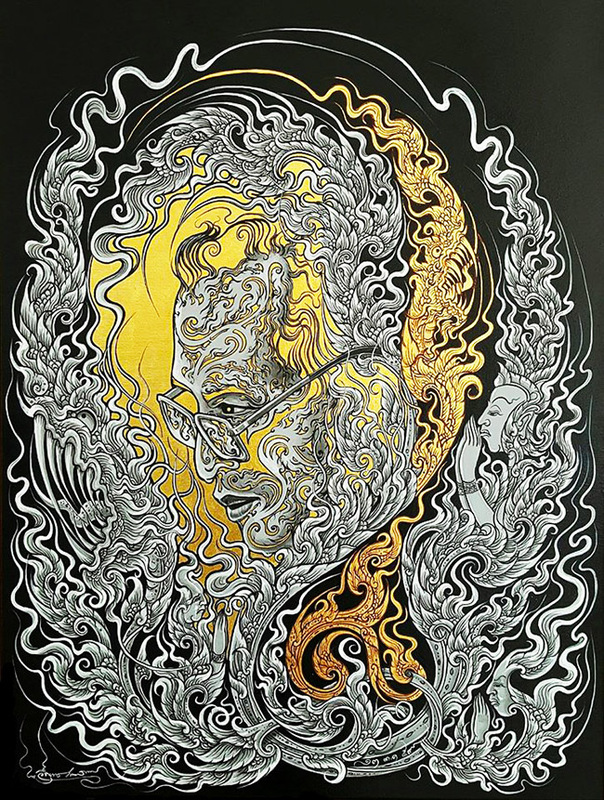 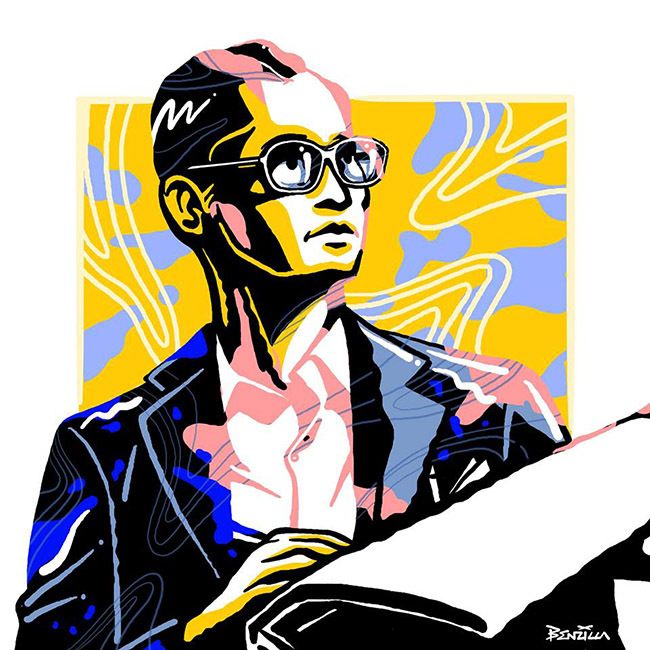 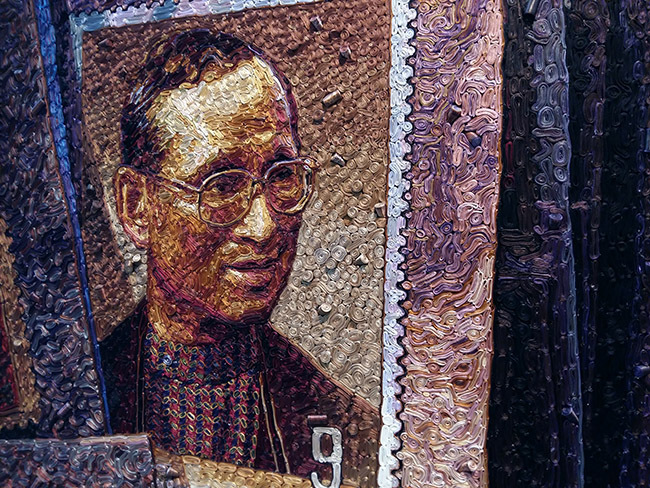 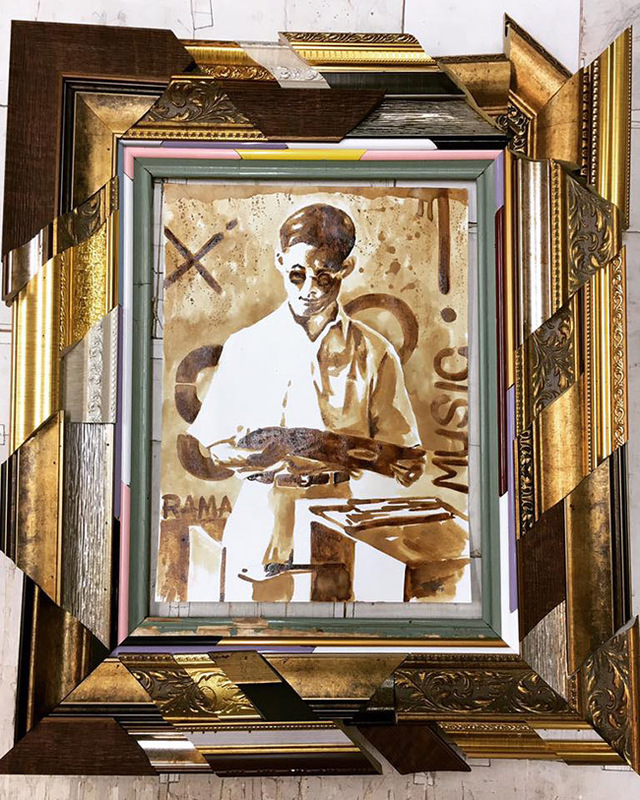 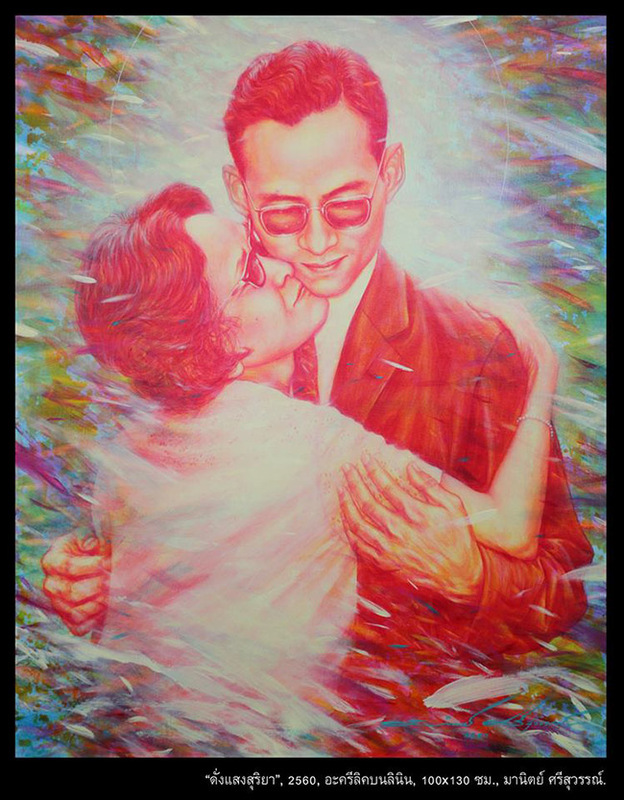 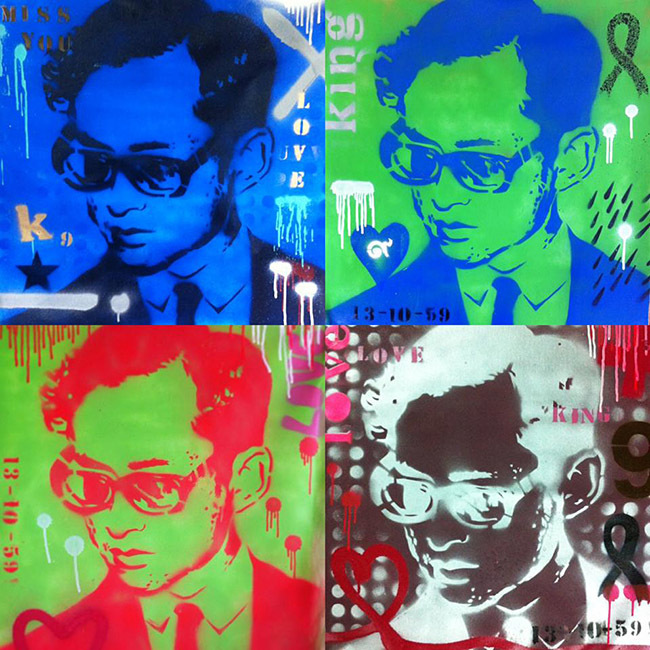 After last year's Art Tribute to the Thai King, I wanted to share more of the devotion, skill & diversity in the Thai art community with this second art collection of over 45 artworks celebrating the life & profound impact Rama IX has had on the people of Thailand. 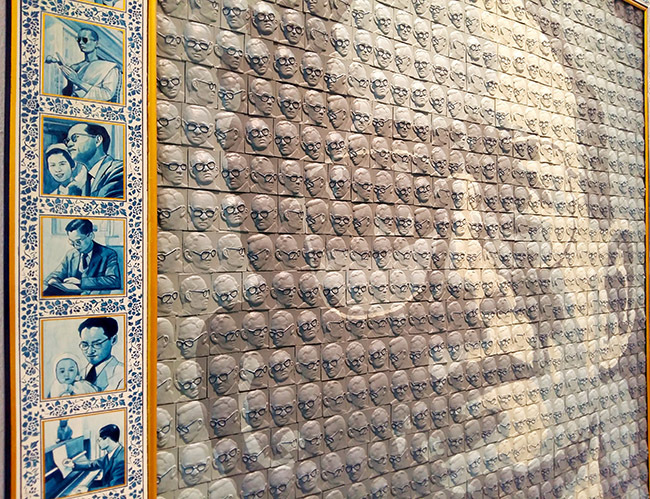 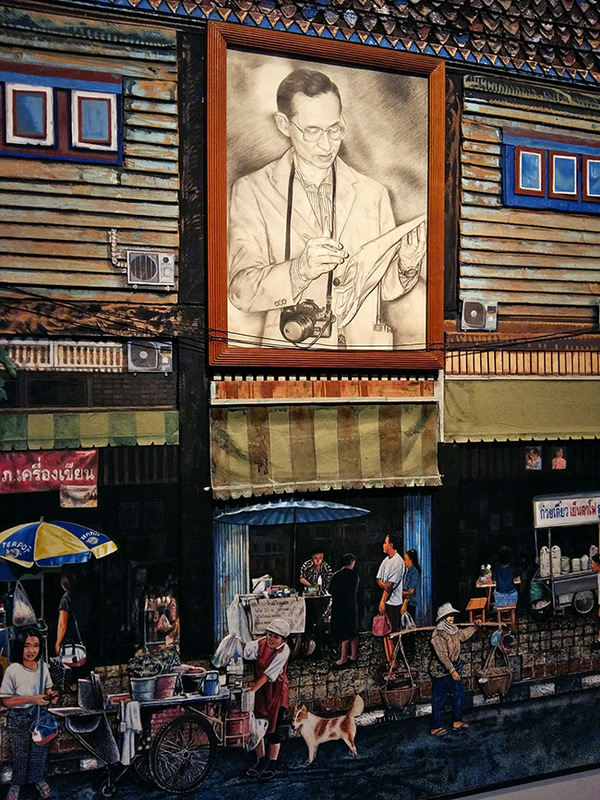 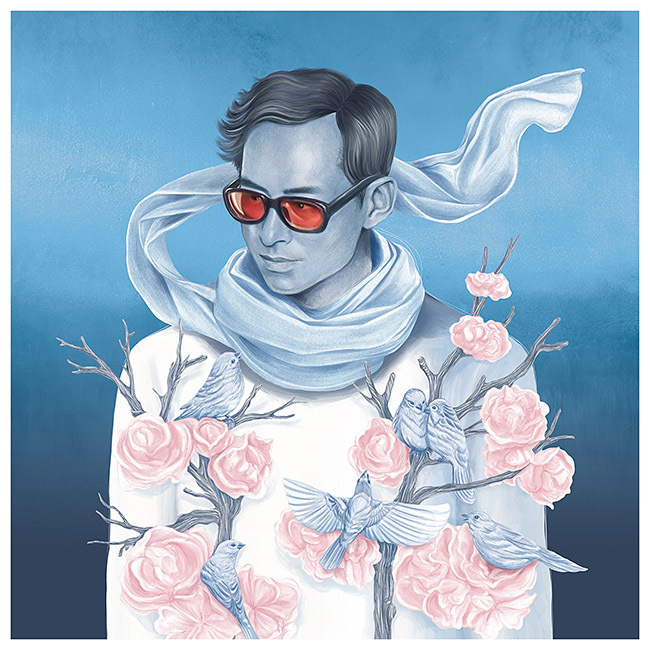 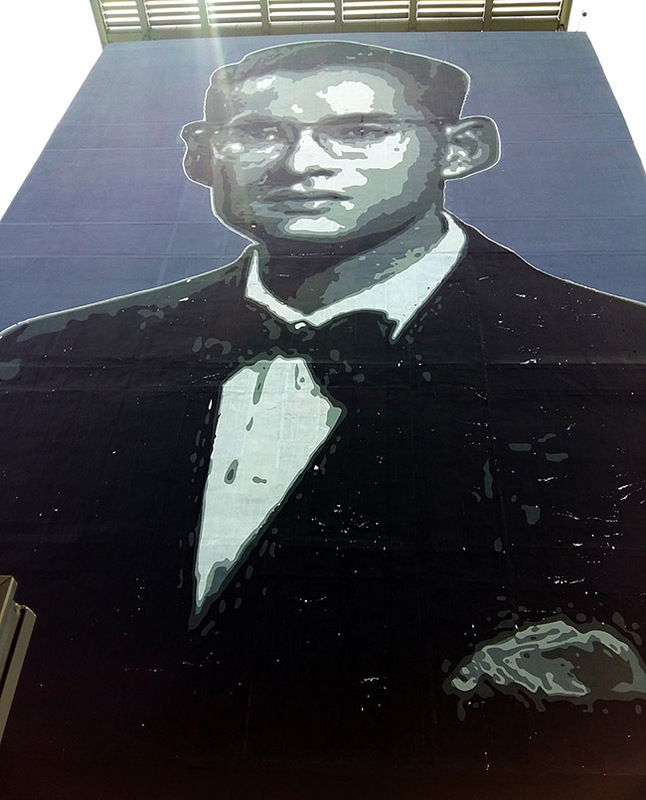 These first 3 murals all can be seen at The Bangkok Art & Cultural Center (BACC) near National Stadium, BKK. 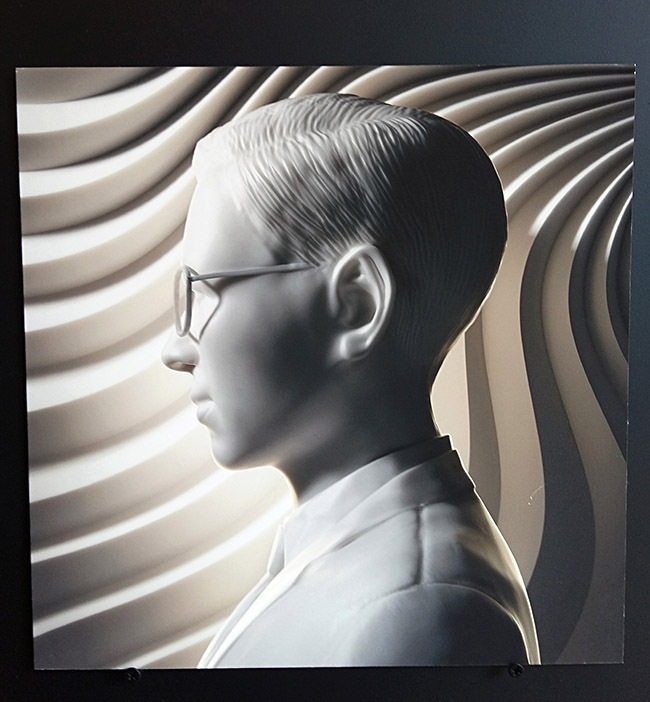 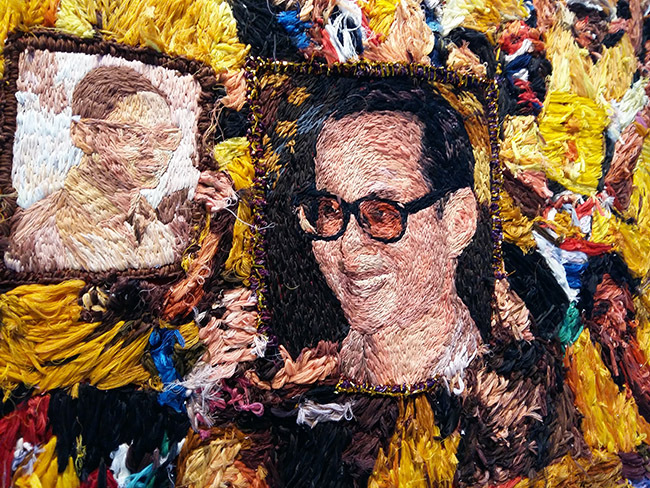 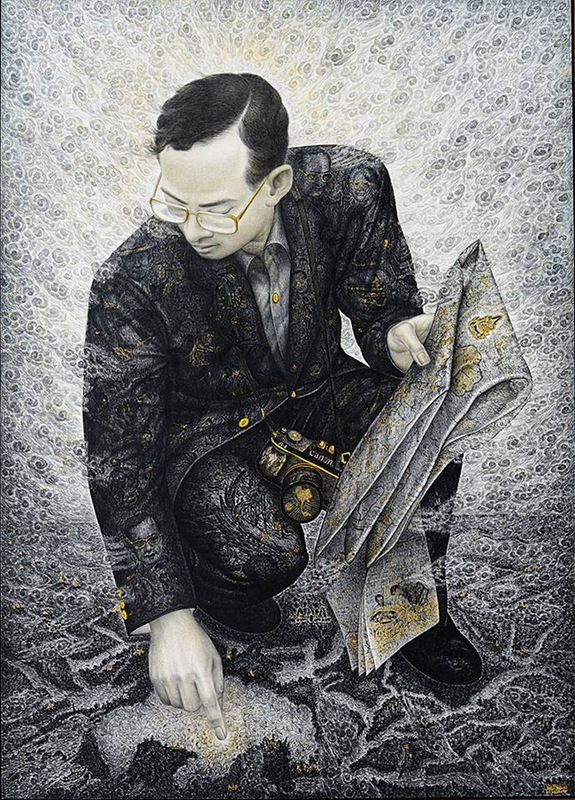 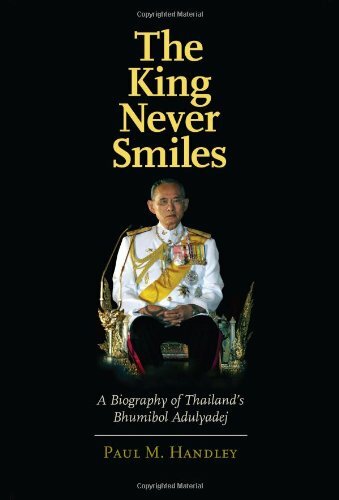 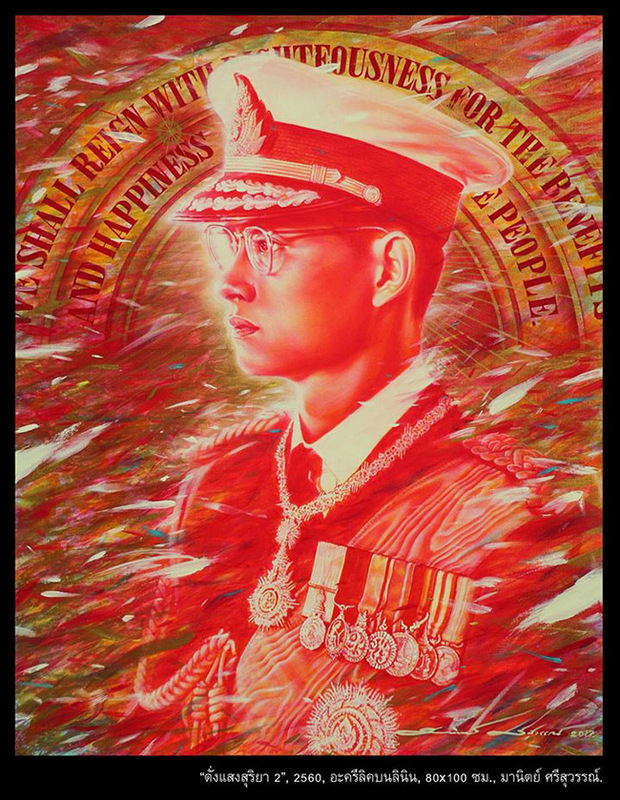 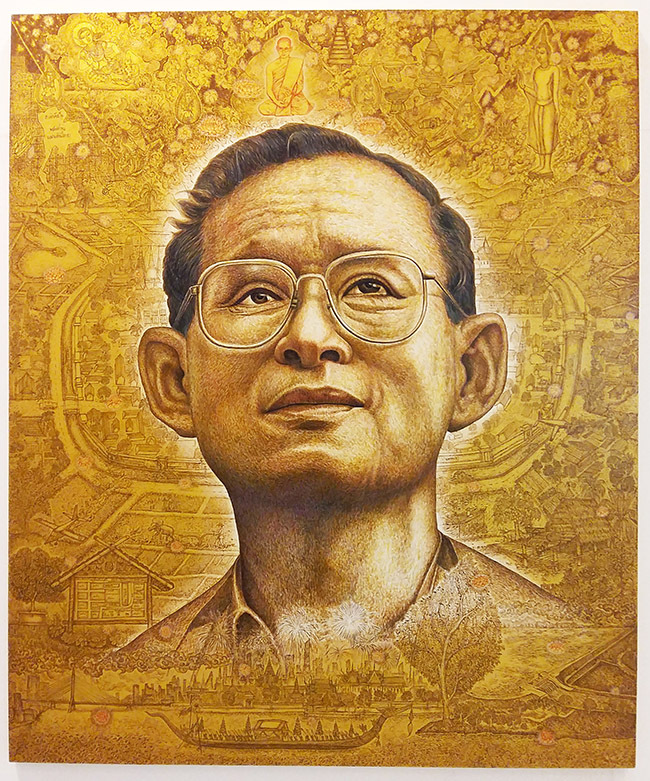 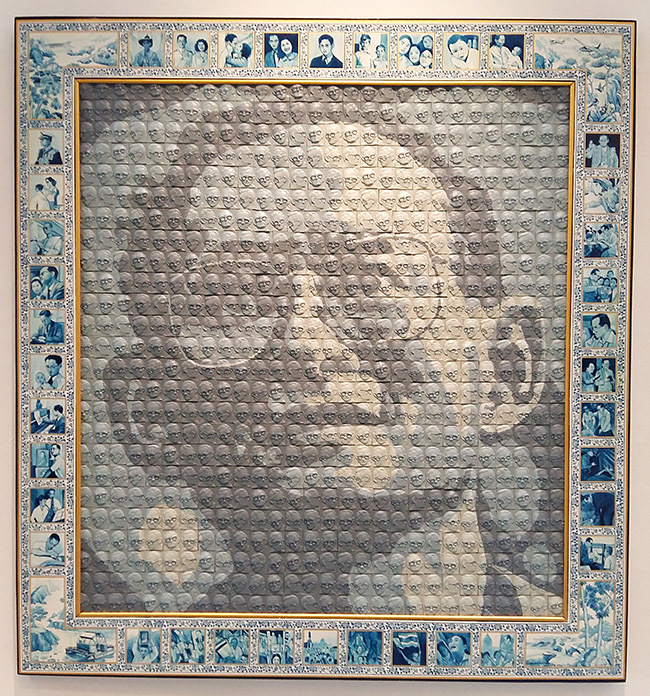 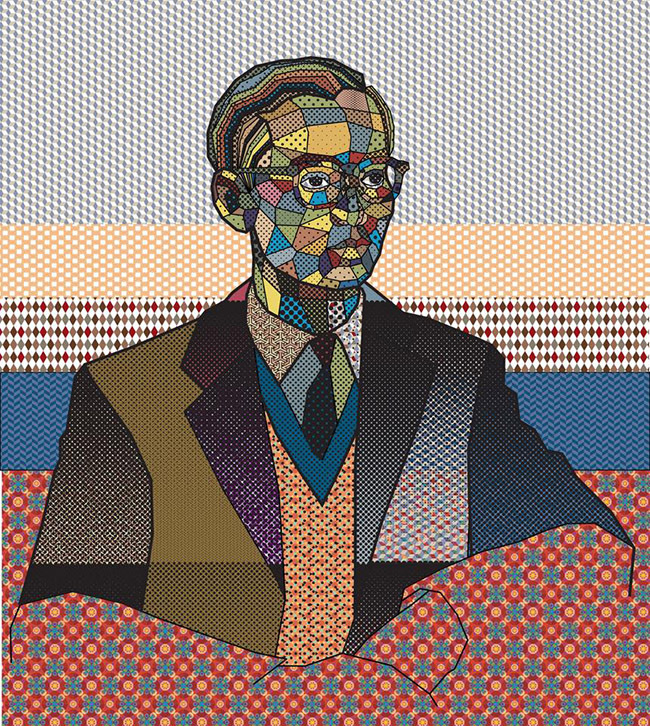 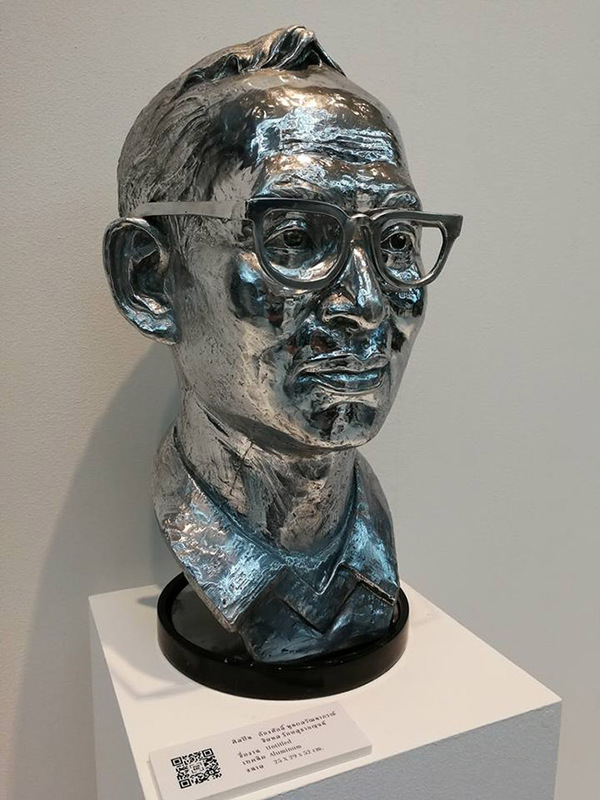 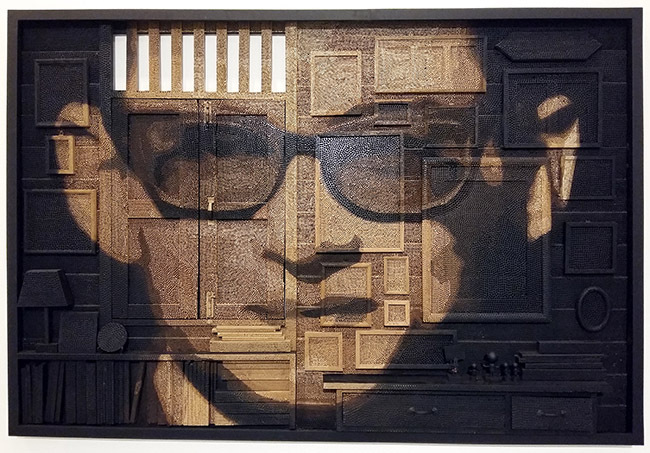 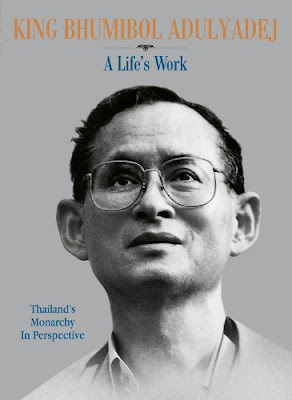 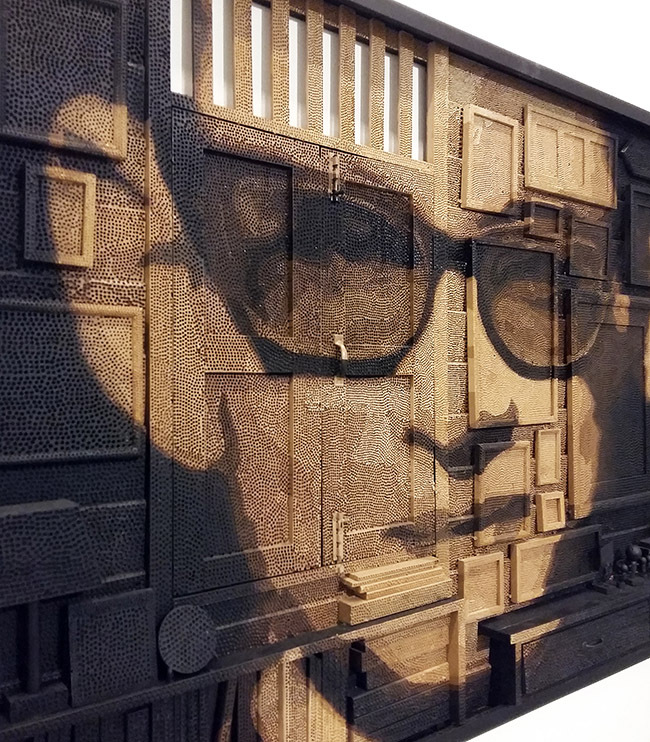 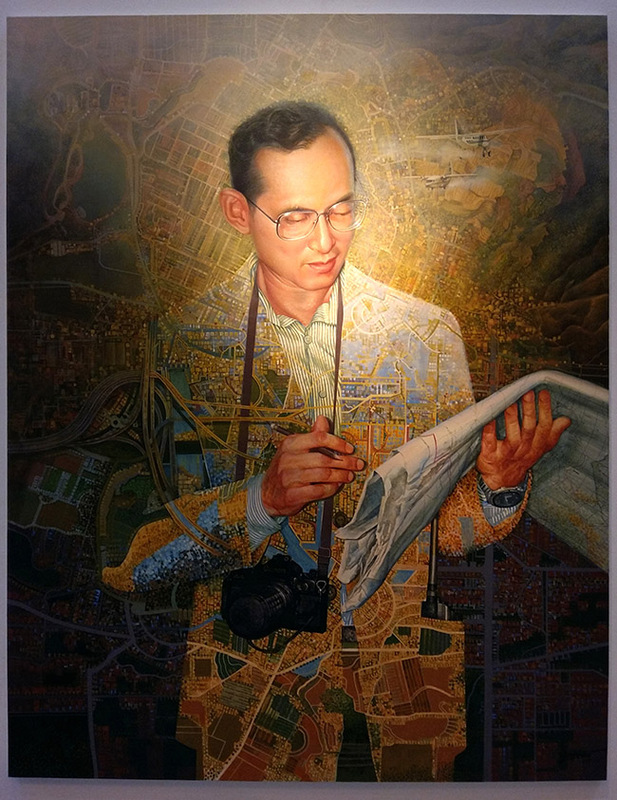 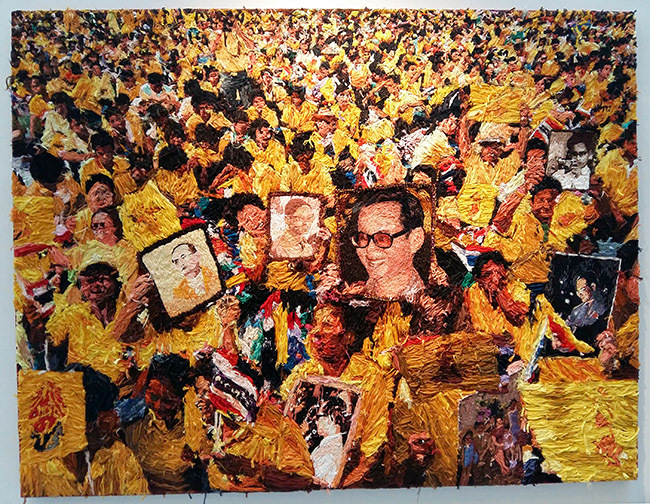 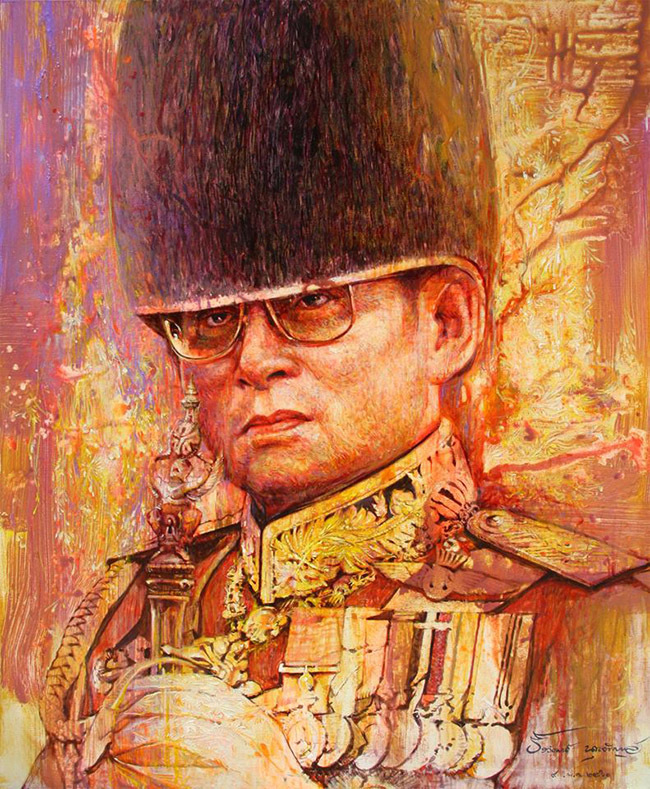 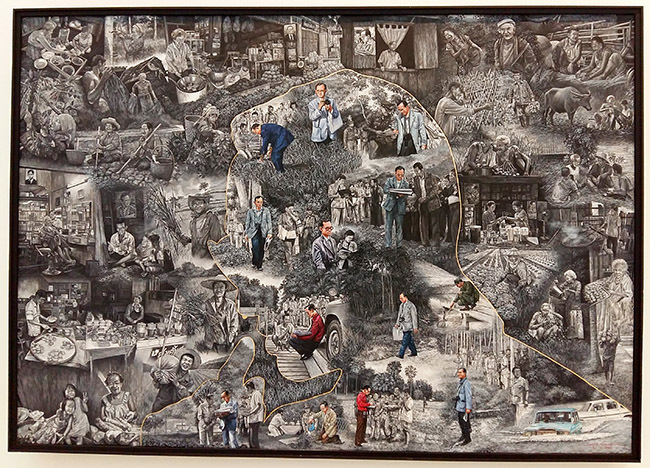 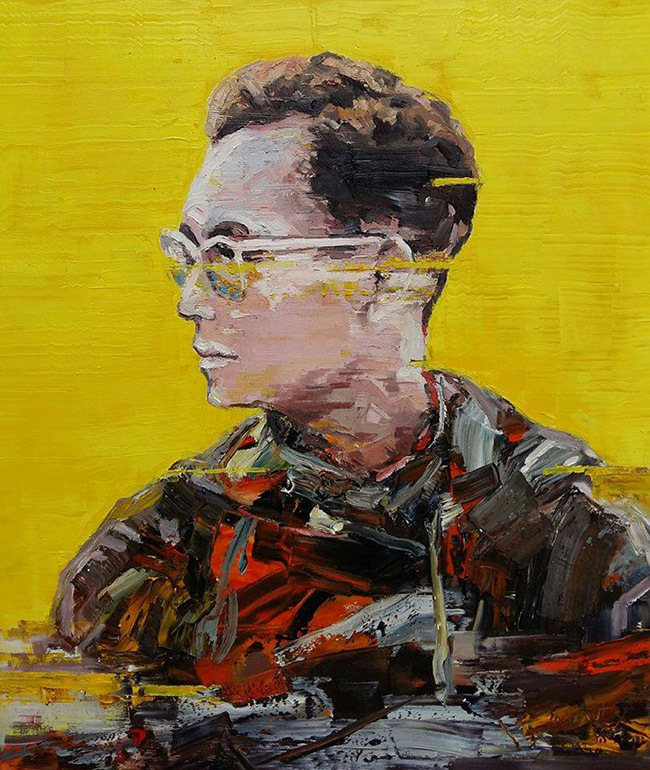 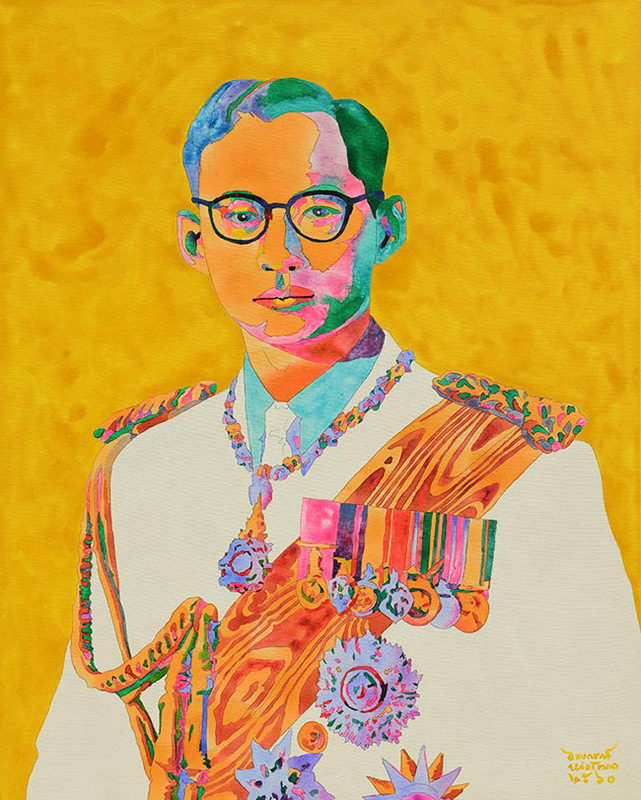 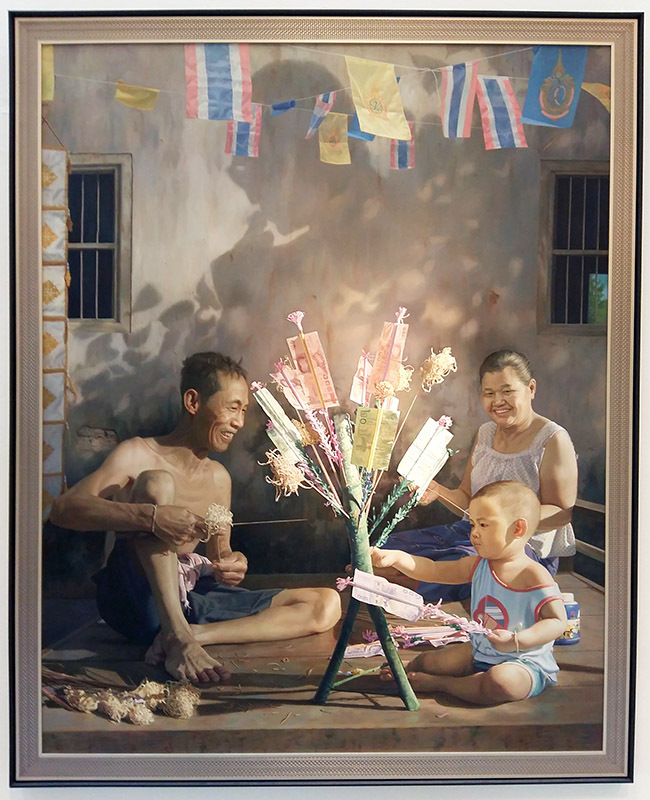 Much of the art & the inspiration for this post came from a visit to BACC in the summer when they were showing the exhibit, "The Happiness of the Thai People" which reveals how the late King has touched the lives of the general public throughout the nation. 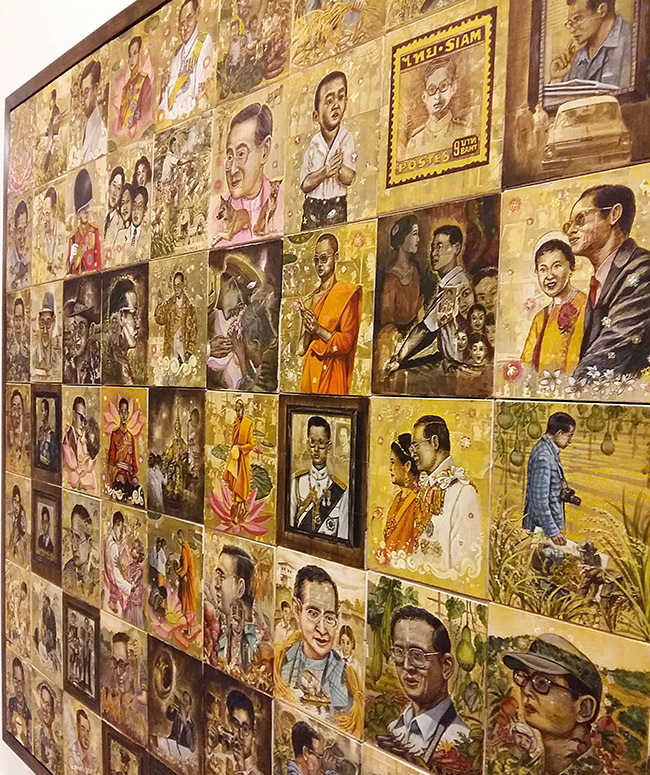 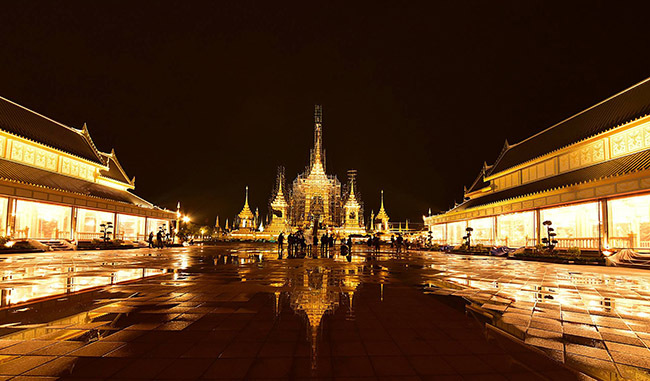 There is an incredible amount of traditional Thai art involved with the making of the royal crematorium. 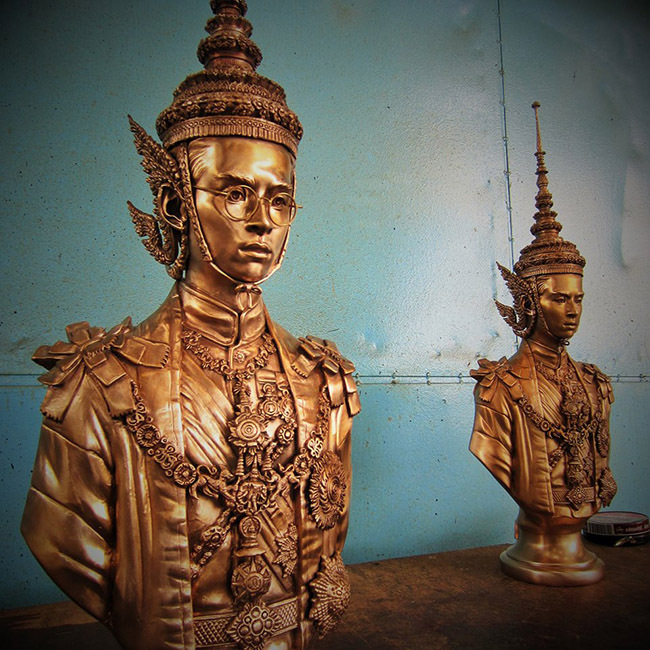 Hundreds of artisans have worked tirelessly over the last 10 months preparing ornate wood carving, decorative stenciled patterns & over 600 sculptures of mythical creatures & beasts. 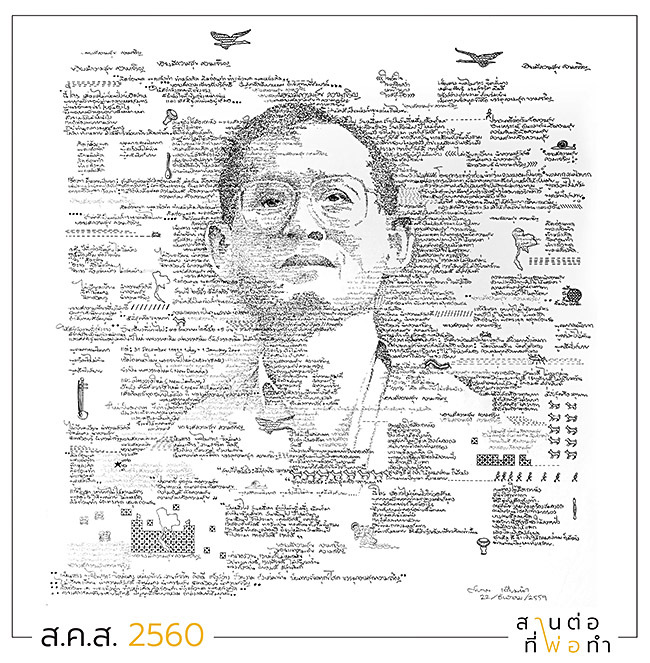 ● Share this post with your friends, if you loved it.